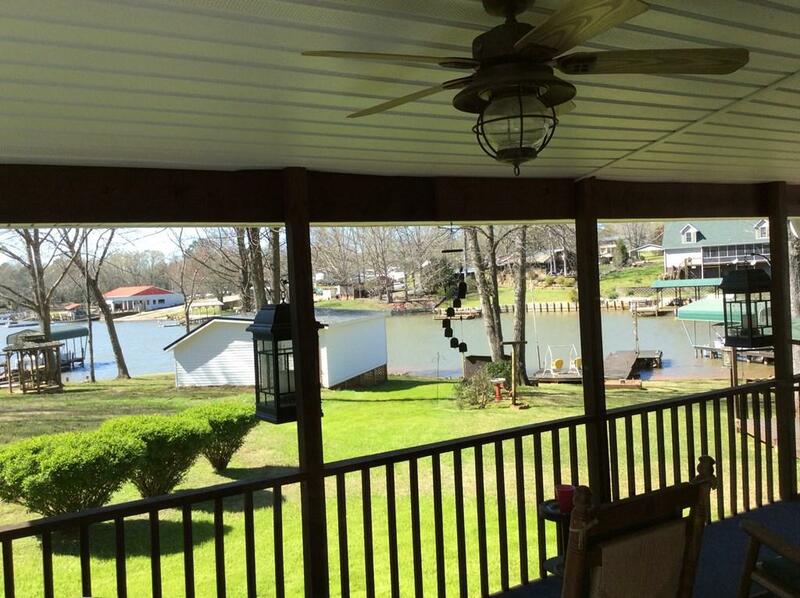 SPEND THIS SUMMER ON LAKE GREENWOOD! 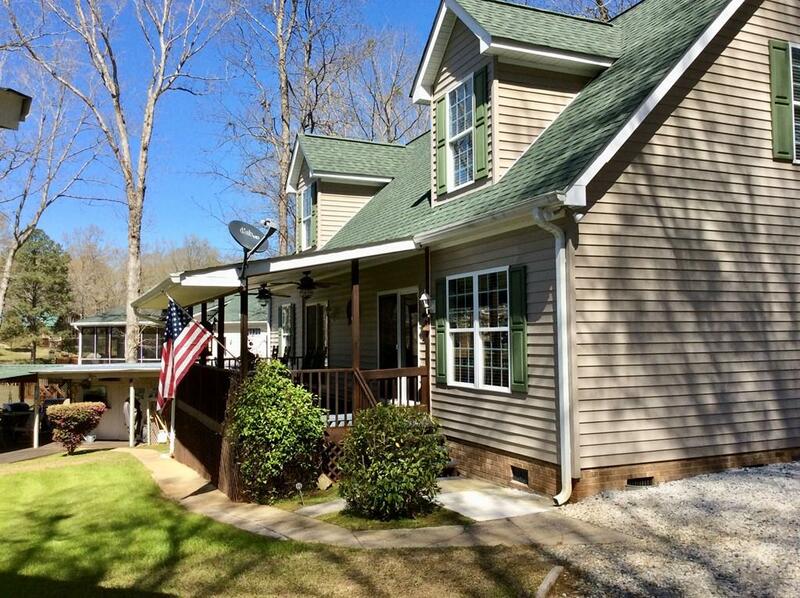 This Well Maintained 3 Bedroom 2.5 Bath Home features ...............Extra Large Master Bedroom on Main Level with lake views and access to the Covered Porch -His and Her Closets ( Walk in Closet and Separate closet). The ensuite off the Master Bedroom features a soaking tub, separate shower and double vanity...........The Second Level features the other 2 Large Bedrooms with Lakeviews and a Full Bathroom ............ Open Floor Plan with the Kitchen/Dining and Living Room on the Main Level..... Living Room has freestanding gas fireplace and Sliding Door leading out to the covered Porch..........Kitchen has breakfast bar, Pantry and plenty of counter space and storage..............All appliances in Kitchen will remain along with the Washer and Dryer in the Separate Laundry Room.........The Dining Area has a built in buffet - ideal for entertaining ............................Convenient 1/2 Bath on the Main Level................ Rain or Shine you will not run out of places to spend with your Family and Friends enjoying the Sights and Sounds of what the Lake has to offer!---------First, your Covered Porch will be a favorite spot to enjoy your morning coffee or afternoon tea - it is accessible from both your Living Area and your Master Bedroom......... Second - Your very own " Tiki Bar" area close to the water. This very special place has a covered deck with two buildings attached - One building has electricity and equipped with refrigerator and the other is perfect to store your water equipment and toys..............................You have 2 Boat Slips for your watercraft - one covered boat slip and the other has an open deck for sun tanning, fishing or swimming off it......Power and water available at lakeside along with a fish cleaning station....................Storage is no problem here ! 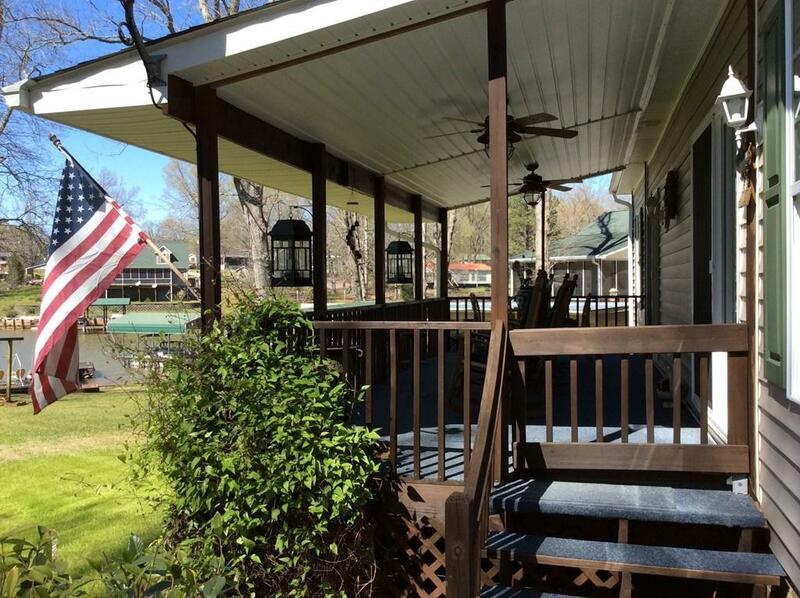 Just outside the home you have an additional 2 Buildings - One with Power and a Roll Up Door..................Discover Lake Greenwood today! 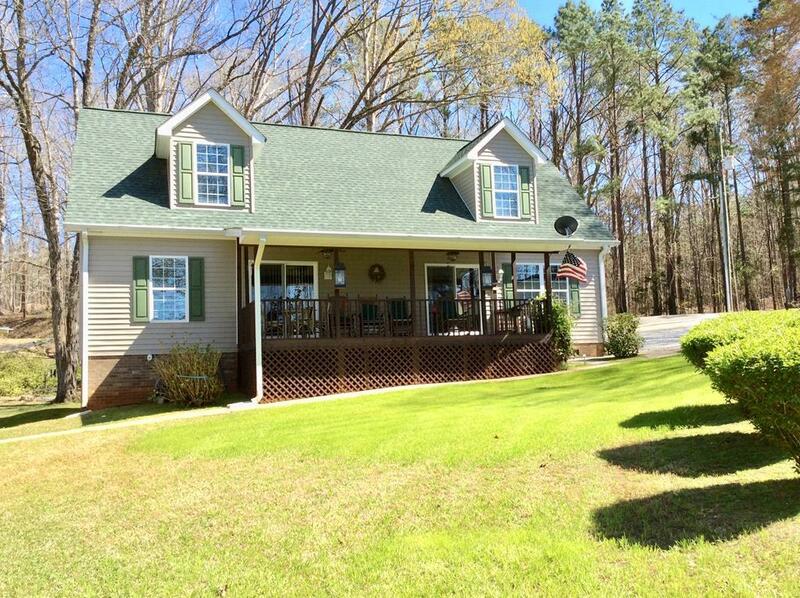 Lake Greenwood has 212 Miles of shoreline and 11,400 Acres- this property is located on a cove near the center of the lake near Lighthouse Landing............................Call today and make Living on the Lake a Reality !! !